Collective leadership in China is generally considered to have begun with Deng Xiaoping in the 1970s, who tried to encourage the Politburo Standing Committee to rule by consensus in order to prevent the authoritarianism of Maoist rule. Jiang Zemin formally established himself as the "first among equals". This era of collective leadership has been said to end with Xi Jinping, following the abolition of term limits in 2018 under his tenure. Currently, the central authority of the Chinese government is concentrated in the Politburo Standing Committee, which is composed of 7-members of the Communist Party of China and headed by the General Secretary of the Central Committee. In Vietnam, when the country was ruled by Lê Duẩn, collective leadership involved powers being distributed from the office of General Secretary of the Communist Party and shared with the Politburo Standing Committee while still retaining one ruler. Nowadays, in Vietnam there is not one paramount leader, and power is shared by the party General Secretary, President and the Prime Minister along with collegial bodies such as the Politburo, Secretariat and the Central Committee. Collective leadership (Russian: коллективное руководство, kollektivnoye rukovodstvo) or Collectivity of leadership (Russian: коллективность руководства, kollektivnost rukovodstva), was considered an ideal form of governance in the Union of Soviet Socialist Republics (USSR). Its main task was to distribute powers and functions among the Politburo, the Central Committee, and the Council of Ministers to hinder any attempts to create a one-man dominance over the Soviet political system by a Soviet leader, such as that seen under Joseph Stalin's rule. On the national level, the heart of the collective leadership was officially the Central Committee of the Communist Party, but in practice, was the Politburo. Collective leadership is characterized by limiting the powers of the General Secretary and the Chairman of the Council of Ministers as related to other offices by enhancing the powers of collective bodies, such as the Politburo. Lenin was, according to Soviet literature, the perfect example of a leader ruling in favour of the collective. Stalin also embodied this style of ruling, with most major policy decisions involving lengthy discussion and debate in the politburo and/or central committee; after his death in 1953, Nikita Khrushchev accused Stalin of one-man dominance, leading to controversy surrounding the period of his rule. 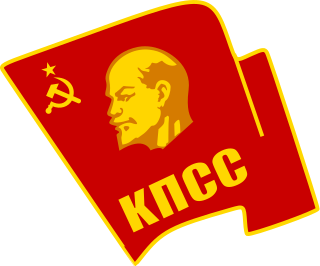 At the 20th Party Congress, Stalin's reign was criticized by Khrushchev as a "personality cult". As Stalin's successor, Khrushchev supported the ideal of collective leadership but increasingly ruled in an autocratic fashion, his anti-Stalin accusations followed by much the same behaviour which led to accusations of hypocrisy. In 1964, Khrushchev was ousted and replaced by Leonid Brezhnev as First Secretary and by Alexei Kosygin as Premier. Collective leadership was strengthened during the Brezhnev years and the later reigns of Yuri Andropov and Konstantin Chernenko. Mikhail Gorbachev's reforms helped spawn factionalism within the Soviet leadership, and members of Gorbachev's faction openly disagreed with him on key issues. The factions usually disagreed on how little or how much reform was needed to rejuvenate the Soviet system. Green and other ecosocialist parties often practice collective leadership, either through male and female co-leaders or through several co-spokespersons. This practice is often justified by the Green movement's emphasis on consensus decision making and gender balance. Green Party of England and Wales: from 1990 to 1991, the GPE&W practiced co-leadership among six spokespersons, and from 1991-2008, the GPEW practiced it through a male and female spokesperson. After Caroline Lucas was elected the party's first sole leader and deputy leader in 2008, collective leadership was in hiatus until 2016, when the party leadership was once again divided between male and female co-leaders under a job-share agreement while retaining a deputy leader. Scottish Green Party: began to practice collective leadership in 2004 with the election of a male and a female co-convenor. Green Party of the United States: the Green National Committee's steering committee is a collective leadership of seven co-chairs, as well as a secretary and a treasurer. ^ Holtz, Michael (28 February 2018). "Xi for life? China turns its back on collective leadership". Christian Science Monitor. Retrieved 23 June 2018. ^ "New Politburo Standing Committee decided: Mingjing News" Archived 2013-01-15 at the Wayback Machine. Want China Times. 18 October 2012. Retrieved 2 January 2013. Christian, David (1997). Imperial and Soviet Russia: Power, Privilege, and the Challenge of Modernity. Palgrave Macmillan. ISBN 978-0-312-17352-4. Taras, Roy (1989). Leadership Change in Communist States. Routledge. ISBN 978-0-04-445277-5. Law, David A. (1975). Russian Civilization. Ardent Media. ISBN 978-0-8422-0529-0. The 26th Congress of the Communist Party of the Soviet Union opened on February 23, 1981, with a five-hour address by the General Secretary of the party and the chairman of the Presidium of the Supreme Soviet (president) Leonid Brezhnev. This was the last Congress of Brezhnev, who died in 1982. Soviet television viewers saw only the beginning and end of the ailing leader's delivery; excerpts from the rest of the speech were read from the studio by an announcer. Brezhnev proposed another round of arms control talks. 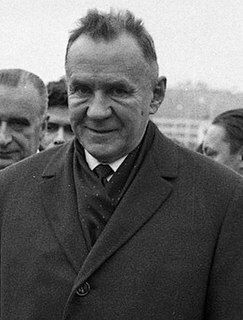 At a time when an aging Soviet leadership faced a decline in economic growth, severe food problems at home, grave uncertainties about its future relationship with the United States, and unsettling events in Poland, the congress ended its week of speeches by unanimously confirming the existing leadership. The congress elected the 26th Central Committee.